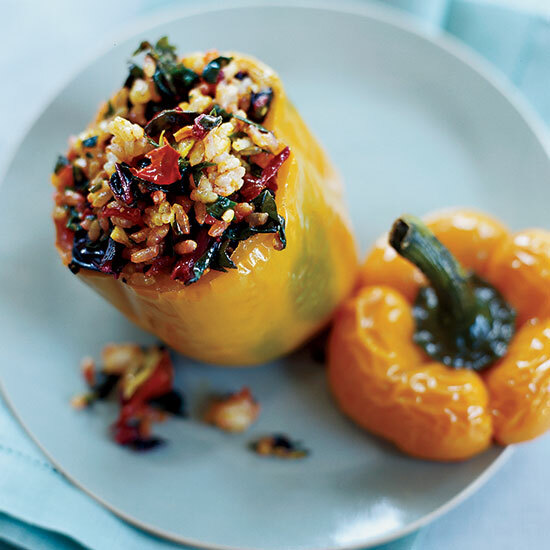 Healthy, delicious, and filling, these recipes include swiss chard with smoked bacon and jalapeño vinegar and stuffed yellow peppers with spicy swiss chard and scallion pilaf. 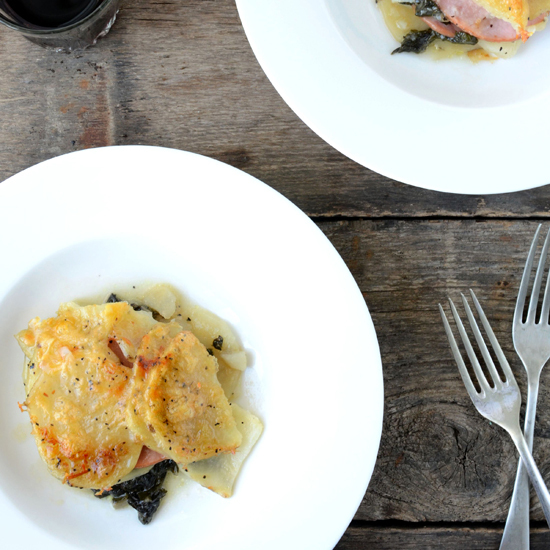 F&W's Kay Chun uses the typical piccata flavors of lemon, capers and garlic in her tasty sauteed greens. 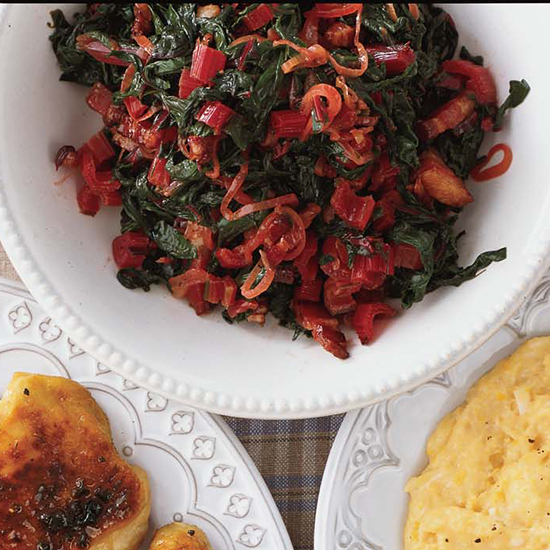 If swiss chard isn't on hand, kale and young collards will work in a bind. 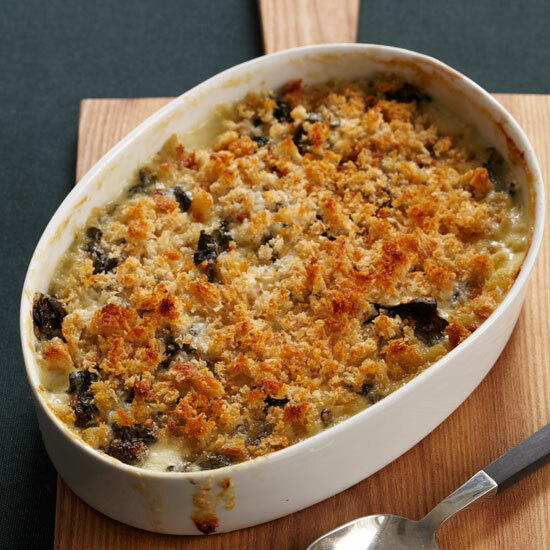 Maria Helm Sinskey claims that a rich gratin topped with cheesy bread crumbs is the only way her children, Ella, 8, and Lexi, 6, will eat Swiss chard. "I've learned that a little cream and cheese gets my kids to finish their vegetables," she says. This recipe is based on a Japanese pressed spinach dish called gomae that is usually served cold. 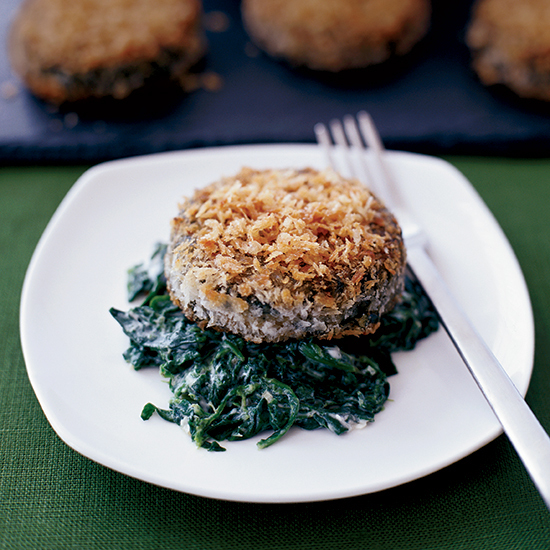 Douglas Keane says the trick to making perfect Swiss chard cakes is to press them long and hard enough to squeeze out any excess moisture. That keeps the bread-crumb crust crunchy and concentrates the chard flavor. 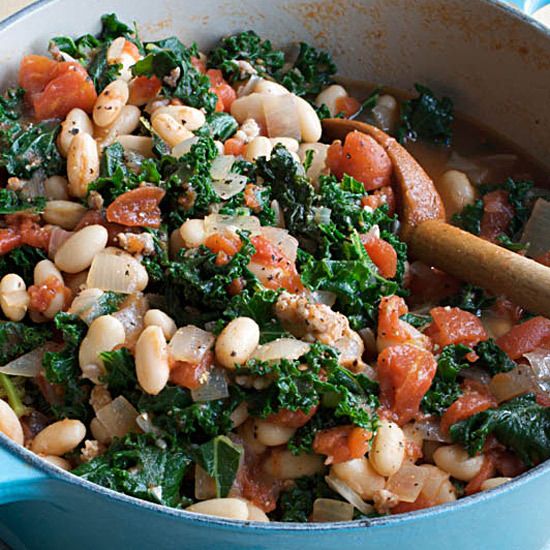 Low in fat but high in protein, beans are one of Joe Bastianich's favorite ingredients. He uses white beans here, but he also loves making this recipe with chickpeas and flat gigante beans: "The bigger and creamier the beans, the better." Celia Brooks Brown lives in London near Green Lanes, an ancient thoroughfare now famous for restaurants that serve Turkish dishes, like these stuffed peppers. Brooks Brown replaces the usual green bell peppers with yellow ones, which deliver more than twice the vitamin C: One yellow pepper provides a whopping 500 percent of the recommended daily intake. 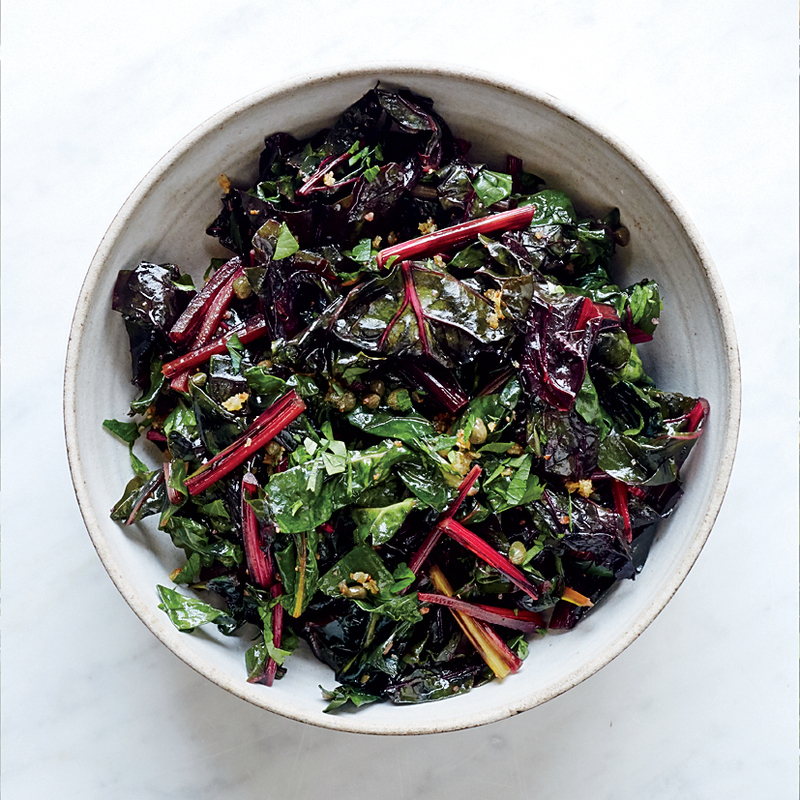 Stewed greens, often slow-cooked with bits of smoky bacon, are ubiquitous in the South. 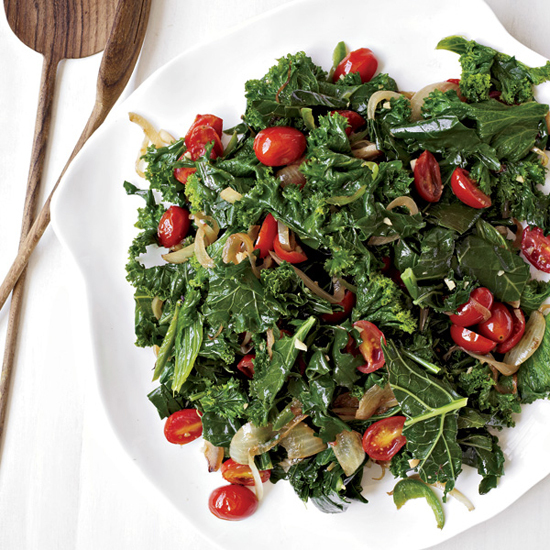 Here, Bobby Flay gives mild Swiss chard an irresistibly spicy flavor by pairing it with a side of vinegared jalapeños.